Not long ago I was on a train to London with my son. As soon as he sat down, he reached for his phone. For a few minutes I let him snap his chat and insta his gram. After all, there are streaks to be kept up, Mom. You just don’t get it! He’s probably right. What I do get, and what I tried to tell him as I went into full-blown benign dictator mother mode a few minutes later, is that there’s a lot to be said for staring out of a train window with nothing but the world to keep you company. Quietly watching the world speed by should be a welcome respite, a license to daydream. Yet as I watched our fellow passengers, there was very little window gazing. Shutting off, shutting down, just being still–how often do we allow ourselves to be present in nothing but the scenery speeding past, a blur of colors and shapes? “What am I supposed to do?” my son asked. You don’t have to do anything, I told him. 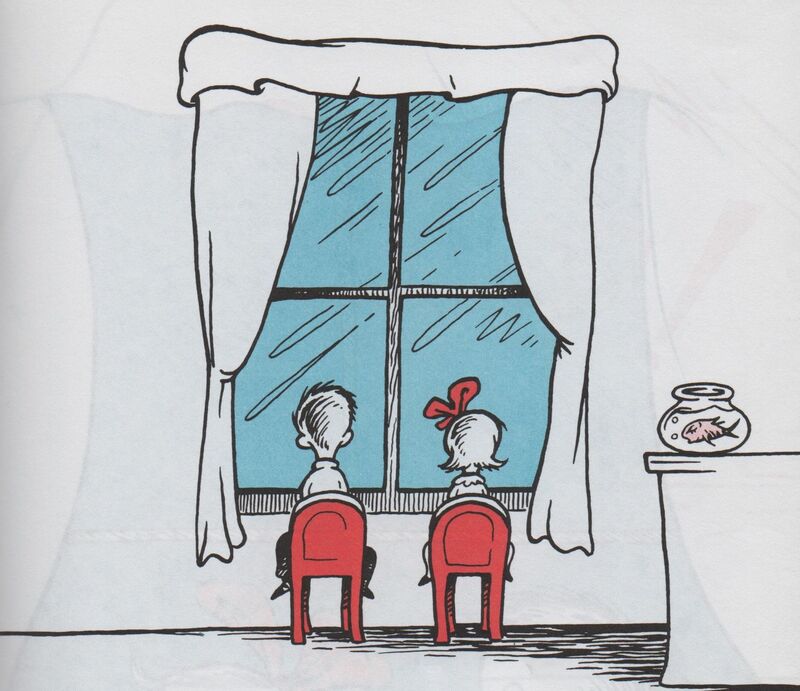 How many inventions or ideas or plots have people imagined while staring out of windows?How many imaginations were sparked by a cloud shape in the sky or lit up with the way the sun caught on a woman’s hair? Who knows when the sharp azure of an autumn sky is going to inspire a masterpiece–or even just a doodle? How many couples tearfully arguing on train platforms were the seeds of a novel, how many lovers embracing for a love song? How many times did the decaying gray of an urban landscape inspire a sci-fi story? We don’t look out of windows enough. Instead of stirring our imaginations with daydreams we’re weighting them down with things to do until they sink, like sediment, to the bottom of our glasses. We’re so busy filling our empty spaces we haven’t left ourselves any time to daydream. It’s important to empty our minds every now and again so that we can fill them with nothing. Because within that nothing is the promise of the extraordinary. There’s no empty space left. It’s filled with games and emails and scrolling past the lives of others. It’s clogged up and cracking with busy, busy, busy things to do. Sometimes it’s good to lose ourselves in nothing more than the world going by. My son balked. He fidgeted. He moaned and performed one of those eye rolls that only teenagers can pull off without spraining an orbital muscle. I sat next to him and took out my notebook, scribbling notes. 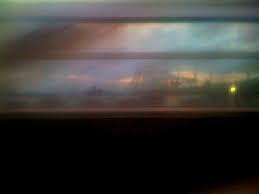 Eventually he rested his forehead against the window and, I assume, quietly watched the world speed by. I’ll never know if he saw anything that inspired him, or made him think, or if he was just killing time until he could snap some more chats and keep up with his streaks. That’s ok.
For thirty minutes as the train trundled into London, his head was filled with nothing more than what he could see and dream, alone with his thoughts. It was a half-hour of emptiness to be filled with no more than the world speeding by in a song of color and blur. It’s so true – boredom leads to creativity! We need to actively promote inactivity! That’s a funny (and true!) sentiment: actively promoting inactivity, almost oxymoronic! Rushing through the busy town. I do agree with you 100%. I also tell my 10yr old son to appreciate and look outside wherever we go out riding a car, buses, trains or even a plane! This is the time where your brain can provide good ideas alright. 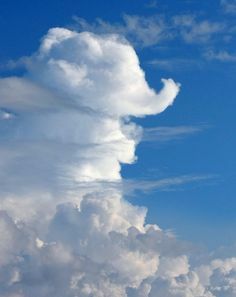 I see you have an elephant cloud on your photo that is amazing! !